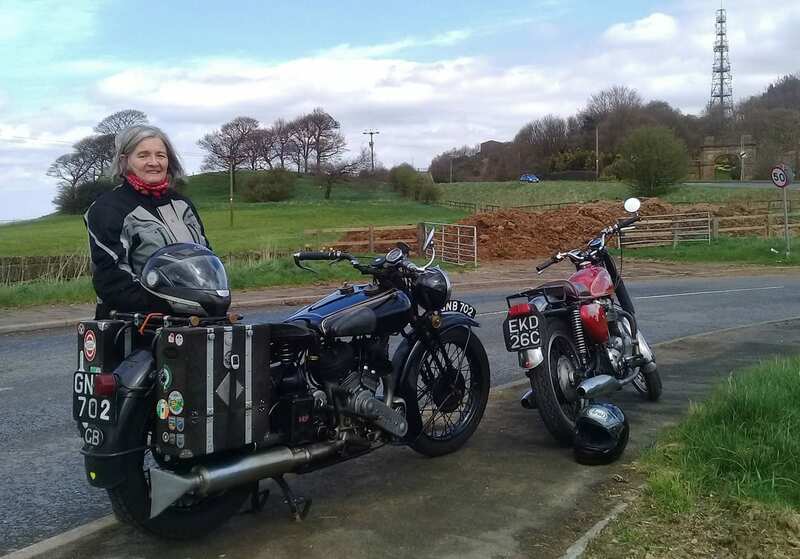 I met Heather as she travelled to meet fellow members of the Brough Superior Club for their week-long diamond jubilee rally. 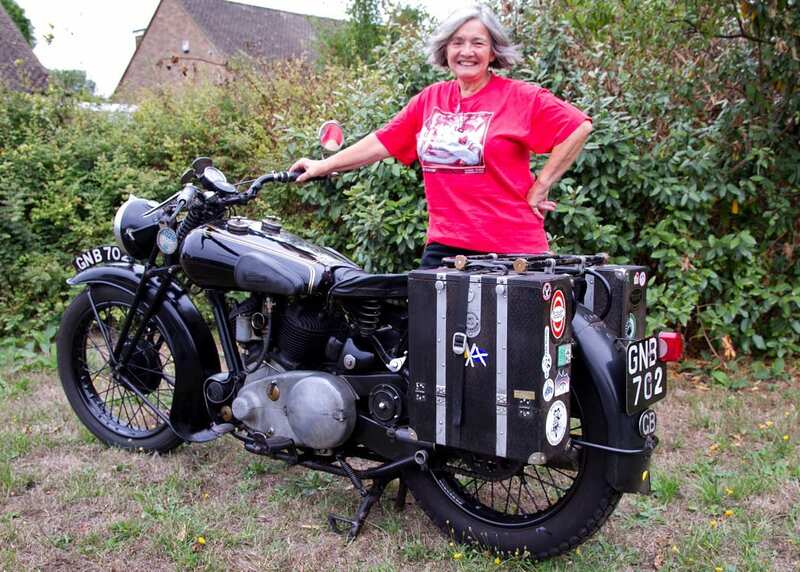 For a lady who fell in love with two-wheeled travel at the age of eight and subsequently rode all over the world, hitchhiking when the big ends went and sleeping by the roadside when it got dark, the rally’s 600 hundred miles spread over a week was a walk in the park on her 1940 SS80. Not one to be put off by a minor thing like a stuck brake lever, Heather and the Vincent took part in the 1969 Miss BMF contest at that year’s BMF rally. Although we met ahead of the Brough Superior rally, Heather’s far from being a single-marque woman. This was to be the beginning of some bad luck, as the next year Heather experienced more engine trouble. ‘In 1976 my boyfriend and I went to the north cape of Norway on one BMW. We took all our food for the whole three weeks in some Craven Golden Arrow panniers and some tank bags. 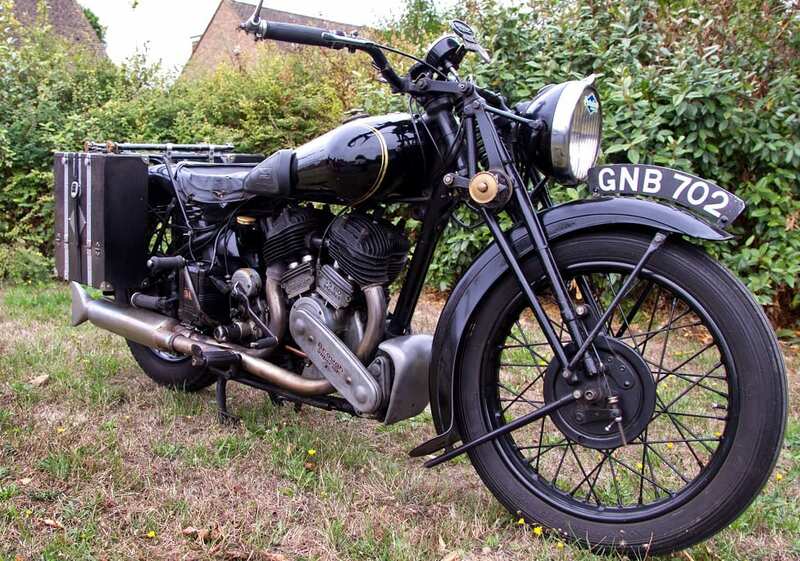 The Golden Arrow panniers were the dogs’ at the time. I had a bag over my shoulder too and there must have been the tent on the rack at the back. ‘When we got to the Arctic circle, the big end and main bearings went! Not to worry… north of Finland with our thumb stuck out with a broken motorbike! We hitched a lift to the nearest BMW dealer, unfortunately a car dealer, on the back of a pick-up truck. The driver of the pick-up said “it is 350 miles, it will take 10 hours and I will stop once.” It was, it did and he did. There was more bad luck to come on another foreign jaunt, and this time it wasn’t just the bike that suffered. 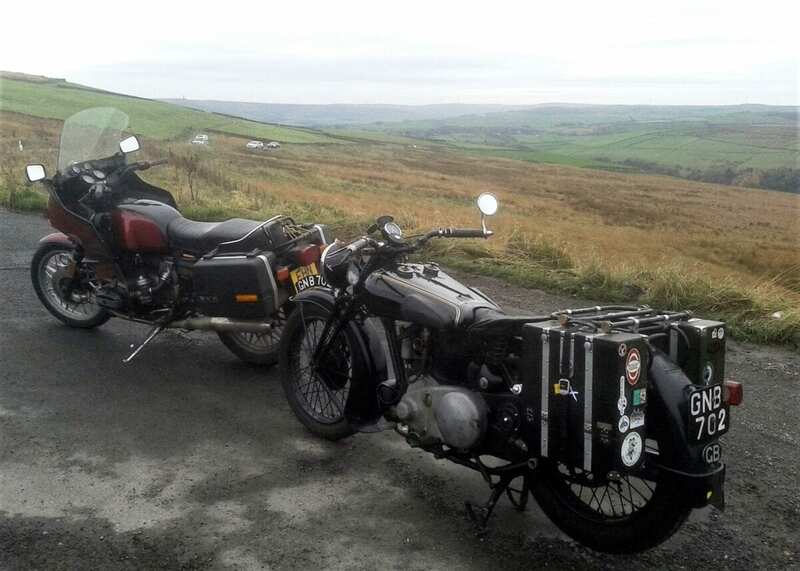 35 years later, the Brough has carried Heather all over Europe. Heather doesn’t own a car (‘I’m not interested in getting one. What do I need a car for?’), and carries everything she needs for a trip in original Craven panniers strapped to her trusty SS80. 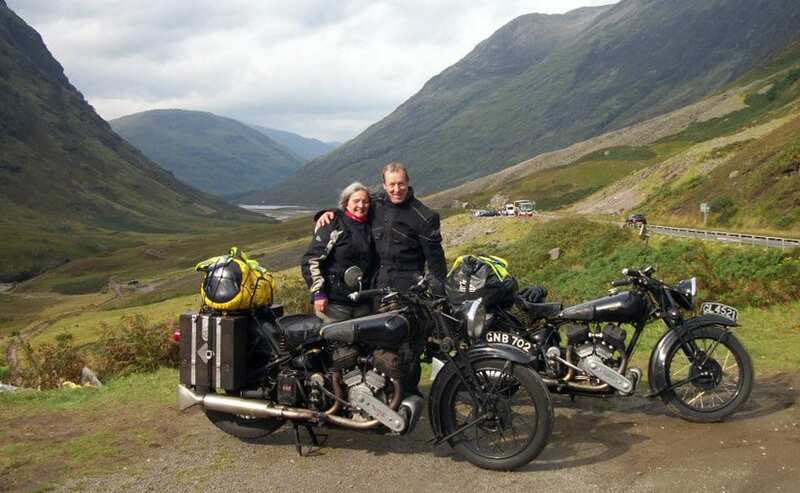 ‘I bought the Silver Arrow panniers in the late 90s. My husband at the time said “oh, no, you’re not having those”. 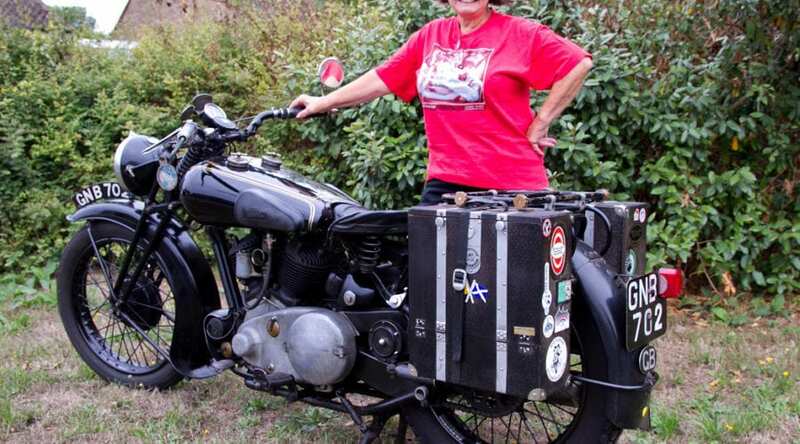 We were on a camping weekend and my mother was there with her motorbike and sidecar, and I said “mum you have to see these panniers, but he won’t let me take them home”… but I got them in the end! These original Silver Arrow panniers were made from reinforced fibreboard, strengthened with wooden battens and without a locking mechanism. ‘I spent an awful lot of money on tooling and things to get them right but the festering things fell apart last week. Some of the nuts fell out, if it wasn’t for the straps around them I might have lost them. They don’t really stand up to the bashing I’m giving them. They’re just made out of Bakelite, bits of wood and water soluble glue. And I keep tooling in it which is jumping up and down all the time, but they’ve managed so far. It is this reliance on herself and her machine that keeps Heather travelling. 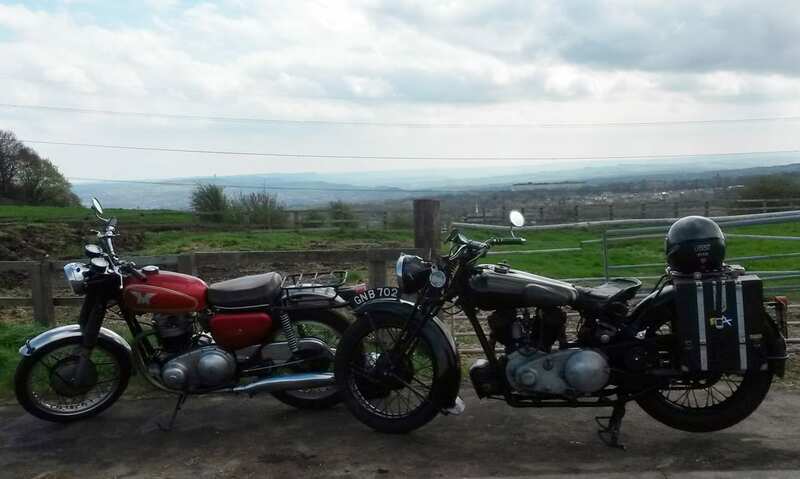 ‘I like the freedom of being on a bike. And the solitude as well. I’m travelling with my husband now, but you are responsible for what you’re doing, it’s your choice where to go and what to do. 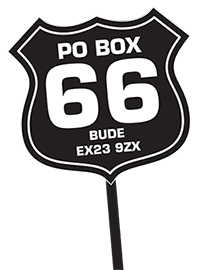 ‘Most of the places I’ve visited I’ve ridden my bike to, apart from India of course where we hired Royal Enfields, and we went to Australia and New Zealand a couple of years ago. I never go on holiday without my bike. Actually, I think we went to Tenerife one Christmas on a package holiday without our bikes. It was rubbish. What’s next? She has a trip to the Outer Hebrides on the horizon. After that is anyone’s guess, but you can be sure that Heather will get there on two wheels, not four.